Congratulations to "Kristen", the winner of Christy's giveaway. Thank you to all who participated! My More Than Treasure 3-book series is now available in ebook as well as paperback! Follow Simon and Cammie on their adventures and quest to find love never ending love. Twenty-two year old Cammie Adams knows one thing for sure – life isn’t fair. She’s still an emotional wreck from the tragic loss of her parents seven years ago. Right after she gets her PI license she is not only robbed, but abducted, only to find her life was all a lie. When she finds her mother’s diary, she discovers she was only a pawn in her mother’s dangerous game. Now she must get back what is rightfully hers from the man that murdered her mother. Hot and mysterious, Simon Fisher has really only loved one thing – jewels. This ex-jewel thief, now bodyguard, doesn’t even know what hits him when he rescues Cammie as a favor to her father. Simon must protect her, but soon finds out where there’s trouble, Cammie isn’t far behind. She will not only steal his prized jewel, but his heart. When Cammie Adams, determined novice PI, gets an urgent call from her ex, she is compelled to take his case. Miles, a luxury hotel owner and an upstanding citizen of the Upton Hills Community, finds one of the maids dead in an empty suite and turns to Cammie for help to keep his beloved hotel from being tarnished. With her partner and complicated boyfriend, Simon, she takes on a case that might just be their last. Her ex’s hotel is an eighty-year-old building that has secrets of its own. Will Miles win Cammie back? Will Simon stay by her side when the unthinkable happens? Can they catch the murderer to save the hotel and her ex’s reputation or will the case take a turn that will leave them lost forever? Ready to get back to work after a long leave from their PI business, Simon Fisher and Cammie Adams take the first case that comes their way. Someone is selling Mr. Wentworth’s company secrets and it’s up to them to find the spy. But when they get their answer, they uncover much more than company espionage. After attending recent family weddings, Simon has become an expert at dodging Cammie’s hints about giving her a certain piece of jewelry he has always secretly feared. Simon doesn’t know how long he’ll be able to keep his girlfriend satisfied without giving her the one thing she still desires. As they work their case, will Simon and Cammie discover another fortune or will they see that the greatest treasure of all is the one they already have…love? 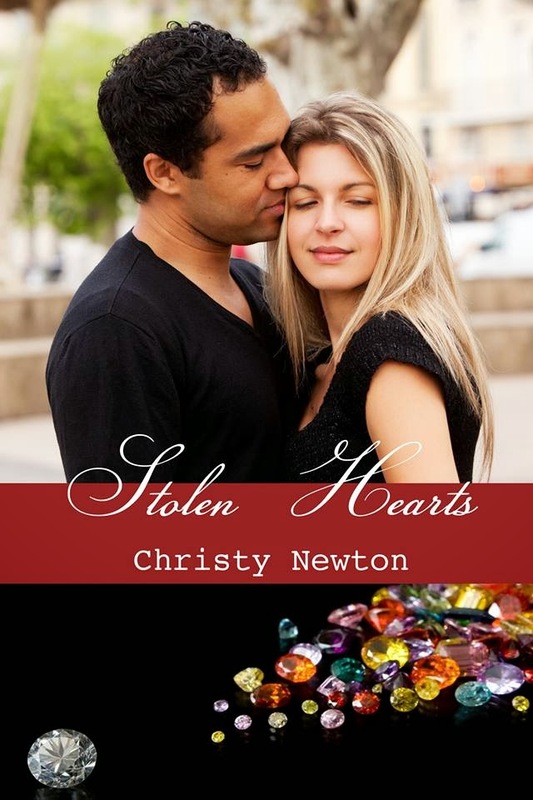 Christy Newton is a hopeless romantic and writes many genres of romance. She just might be the only author out there that doesn’t drink caffeine, but dark chocolate is her must have. She falls in love with each of her heroes and hopes you will too! 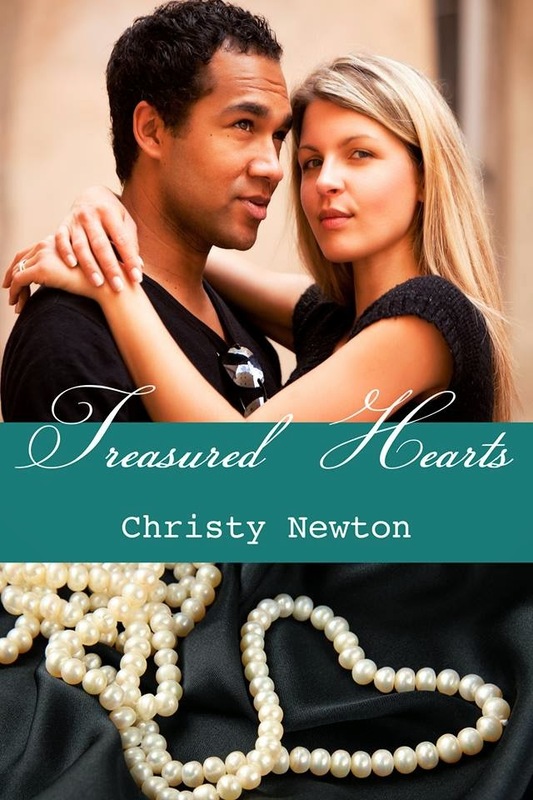 Christy is the author of the More Than Treasure Series and the Love Again Collection. Comment below for a chance to win an ebook of Stolen Hearts. What is your greatest treasure? Guilty pleasure? My children are my greatest treasure, like all mothers. Even though they are adults now, I feel so lucky that they keep me included in their lives. My greatest treasure is my family and my guilty pleasure is reading!! Congrats to Christy on her new release! My greatest treasure are the pearls my parents gave me for my 21st. They are so incredibly beautiful. My greatest treasure are pictures of my family and pets. They are my reminders of the best and worst of time.